What is cryptocurrency, and will it affect you? 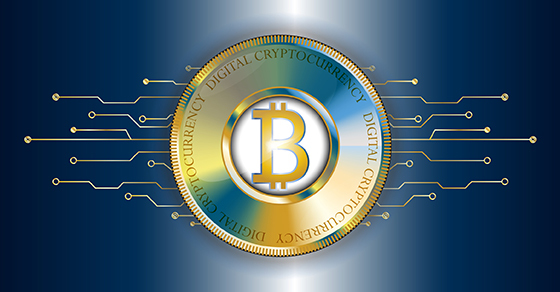 To learn more about tax considerations when deciding whether your business should accept bitcoin or other virtual currencies — or use them to pay employees, independent contractors or other service providers — contact one of the P&R accounting team at Office@CPAsite.com or 904-396-5400. If your business isn’t incorporated or a partnership that includes nonparent partners, you might also save some employment tax dollars. Contact the P&R team to learn more about the tax rules surrounding hiring your child, how the kiddie tax works or other family-related tax-saving strategies. You can reach us at Office@CPAsite.com or 904-396-5400. If you’re a community-minded businessperson, you likely serve on at least one nonprofit or church board of directors. Your work helps ensure the nonprofit’s leader focuses on the mission rather than personal financial issues, such as his or her next income tax return. The new tax law, the Tax Cuts and Jobs Act (TCJA), just complicated your achieving that objective with more budget planning now required. Effective January 2018, TCJA eliminated one of the primary ways clergy and nonprofit staff received compensation for unreimbursed business expenses, such as travel, meals, education and clothing, when it cut the “unreimbursed business expenses subject to two percent of adjusted gross income” deduction from the 1040 Schedule A. The IRS is still developing guidelines for the new law, and opinion in professional journals and websites remains just that—opinion—until the IRS finalizes its interpretation of TCJA. So clergy members and their houses of worship along with nonprofit staff and their boards should establish accountable, documented reimbursement plans until further guidance is codified. Since in the past these expenses may have been truly “unreimbursed,” the nonprofit didn’t pay—or budget for—these expenses, and you and your board colleagues should now consider a new expense line item on its financial statements. In short, the religious and nonprofit boards need to work with their clergy and paid staff to decide exactly what expenses will now be funded. An important item specifically for clergy that didn’t change in the new law: the clergy housing allowance, at least not yet. It’s the greatest tax benefit available to clergy members. IRS guidelines require your employing house of worship to officially designate your home as a portion of your compensation in advance of the qualified costs being paid. However, be aware a federal appeals case on this benefit, which could threaten this legacy tax exclusion, is being considered this year. Of course, we’ll monitor developments and IRS updates and bring you more information as it’s decided and published. At Patrick & Raines CPAs, our experienced, committed team prides itself on its work with nonprofits, including many houses of worship. We build long-lasting, trusted relationships with our nonprofit clients to help them reach their management and financial goals. Contact us when you need help with your tax or financial planning questions: Office@CPAsite.com or 904-396-5400. Next to public speaking and the proverbial IRS audit, owing individual or business income taxes is one of our biggest fears. When filing your last income tax return, did you show a balance due to Uncle Sam you still can’t pay? Worse yet, did you fail to file your tax return because you owed a balance? What should you do now? If you owed money with your tax return, don’t ignore it! Your debt won’t go away and will only compound your money owed. File your income tax return as soon as possible. If your return is more than 60 days past the due date or requested extension period, you’ll owe a penalty of $135 or 100% of your unpaid tax. Pay as much as you can now. If you have funds available to pay even a portion of your tax bill, pay it. The IRS charges interest on overdue taxes, so reducing your debt also decreases your interest. Request a payment plan. Simply apply online or request advice from your accountant (or from P&R, of course!). A short-term payment plan gives you up to 120 days to pay the balance. If you require more time, enter into an installment agreement. Installment agreements for businesses offer up to 24 monthly payments on balances of $25,000 or less (including penalties and interest), for current and prior year obligations only. Installment agreements for individuals allow up to 72 monthly payments on balances of $50,000 or less (including penalties and interest). Apply for an offer-in-compromise. If you owe more than you can pay in full, with or without a payment agreement, you may need to resort to an offer-in-compromise. This option isn’t for everyone; use the pre-qualifier tool as a guide to determine if a potential offer might be accepted. Check or money order. Make sure you make it payable to United States Treasury, and put the primary taxpayer’s Social Security number and tax year in the memo section. Electronic Federal Tax Payment System (EFTPS). Both business owners and individuals may authorize the IRS to withdraw the payment directly from a savings or checking account (business owners should provide two separate accounts if they want to use EFTPS to pay both business and personal taxes). Register at least one week prior to transferring your first payment. Afterwards, you will have the option to schedule payments up to one year in advance. Direct Pay. This option is offered to individuals only, with no requirement for pre-enrollment. Again, funds are withdrawn from your bank account and you can schedule payments up to 30 days in advance. Credit or debit card. Be prepared to pay additional service fees charged by your financial institution or card processor. The IRS requires the full balance due and will not pay the transaction fees! If you owed money this year, and especially with the new tax reform law, use the IRS’ Withholding Calculator to ensure your paycheck withholding amount is appropriate, or you’re paying enough in estimated taxes to avoid this situation next year. Owing the IRS can be a costly matter, but less so—and more manageable—if you don’t ignore it. If you’re not one of the lucky refund taxpayers but owe a balance instead, make the effort to pay what you can and consider one of the IRS alternatives to satisfy the balance. If your tax preparation is too complex for you to manage alone, the experienced accounting staff at Patrick & Raines CPAs will be happy to talk with you…and could very likely relieve some of your stress!